Genre(s) : Culture and Generalist. Launched in 1992 by the President Yang Shangkun of China, CCTV 4 Europe delivers a wide variety of programmes to entertain Chinese speaking people in Europe. Originally this international channel operated for 6 hours a day. Today, due to its popularity, this international Hot Bird satellite channel operates 24 hours a day, every day of the week. It is one of six China Central Television channels to be broadcast beyond China. The content is broadcast in Mandarin. Amongst its programmes are documentaries, music, news, sports, children’s shows, drama, and sports. It also covers national politics, economy, culture and education. Viewers can opt for entertainment programmes that trace the history of China, exciting series, films, and talk shows. As well as the regular news, CCTV 4 Europe also features flash information. For those that fancy discovering and learning Mandarin, there are educational programmes covering the basics. This includes everyday phrases, greetings, numbers, time, and more. Many of the broadcasts on CCTV-4 Europe feature English subtitles, which also assists non-speakers of Mandarin to pick up the language. Amongst CCTV-4 Channel’s popular programmes is Chinese News, Lecture Room, and My Remote Family. 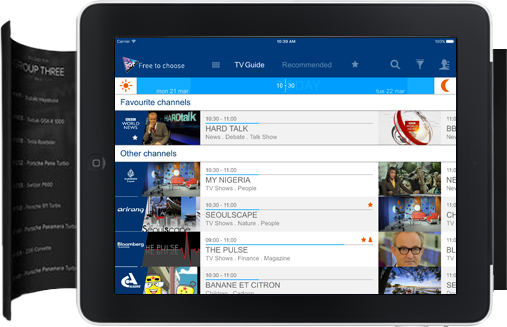 The channel enables Chinese speaking people to view objective news reports, and current affairs programmes broadcast from their native country. It is also designed to promote China in a positive light, and display Chinese culture, including current events, and entertainment. News presenters on CCTV-4 Europe are known for their charismatic personalities and sharp intelligence.